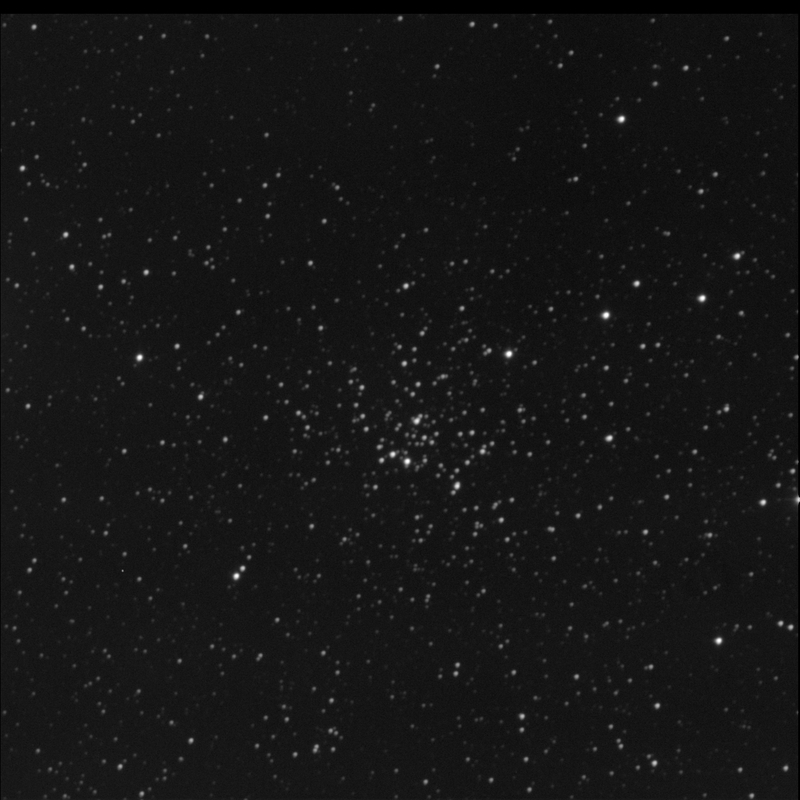 The Burke-Gaffney Observatory robot imaged Caldwell 8 or NGC 559 for me. An open cluster in the constellation Cassiopeia. Many faint stars. There is an arc along the south-east edge of the cluster. I like the zig-zag of bright stars, seemingly a lightning bolt, in the west. 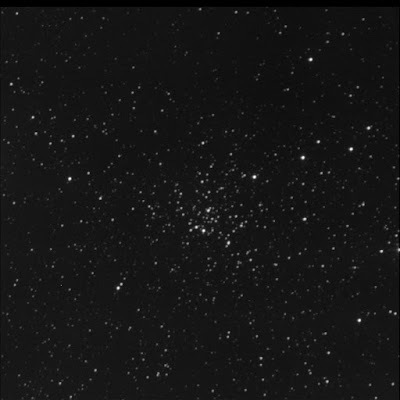 Is this a huge cluster or a small one in a busy part of the Milky Way? Multi-star system MLB 330 marks the centre of the open cluster. They are aligned in a south-east to north-west orientation with the primary to the south-east. A and B are touching in the image. B is a good deal fainter than A. C is separated by a narrow gap. C is possibly brighter than B.
South-west of centre is the multi-star system MLB 329. A similar alignment as 330. Also A and B are arranged the same way with similar magnitudes. However C is opposite B this time.